You’re probably familiar with developer Valorware, a one-man studio out of the UK, by way of the 9th Dawn series of action RPGs that have released on mobile over the years. And while a 9th Dawn 3 is in the works and should hit sometime late this year or early next year, in the meantime Valorware has released a spin-off game of sorts called Throne Quest ($2.99). If you’re familiar with the 9th Dawn games then a lot will feel familiar here in terms of visuals, UI elements, and such. But at its heart this is a dual-stick shooter wrapped up in a rather huge RPG game, and it’s incredibly fun. One thing you’ll want to do right off the bat is head into the Settings and change the shooting direction. The default has you shooting in the opposite direction that you’re pointing to on the right stick, and it’s a bit tricky to get used to. Or you can try it out, it is rather unique! Once you’re comfortable with that it’s up to you to begin exploring and shooting everything in sight. You’ll find a large overworld to explore, shops to buy various items, and plenty of dungeons to work your way through. 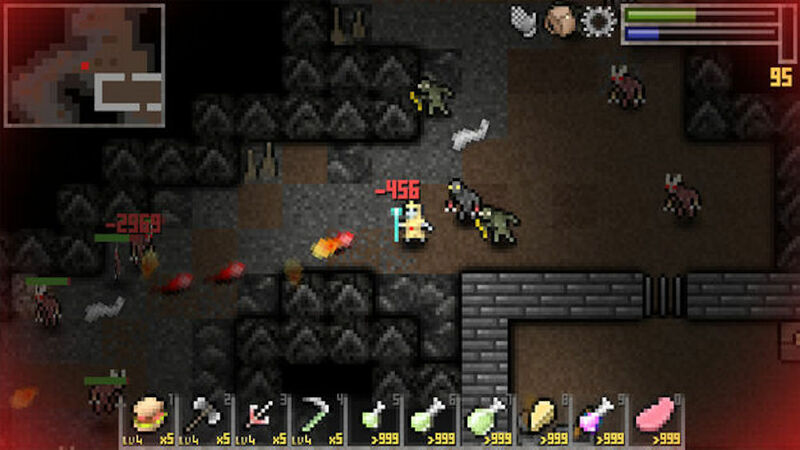 Throne Quest is actually a very challenging dual-stick shooter, so don’t be surprised if you find yourself dying often. Frequent save points make it pretty quick and easy to just hop right back in though, and that’s what I’ve found myself doing all week. While Throne Quest might not be quite as big and deep as the 9th Dawn games, that’s not exactly a bad thing. While those games have a pretty dedicated audience, they could also be a bit too much for some gamers. So far I’m finding Throne Quest a much breezier and easier to get into experience. That’s not to say there isn’t a lot of meat on the bones here, and your $2.99 will get you a heck of a lot of game as well as contribute towards financing 9th Dawn 3. That’s a win-win in my book. So if you enjoy dual-stick shooters, RPGs, or both, Throne Quest should be one new release that’s on your radar, and you can find more impressions and discussion as well as comments from the developer in our forums.